Window tinting films come with the adhesives already on them. There is a clear protective liner which must be removed and discarded before installation of the material. Water-activated adhesives are dry to the touch when the protective liner is removed, not tacky or sticky. To activate the adhesive, you must get it wet with a solution of soapy water. This allows you to position and handle the film easily in the installation process. 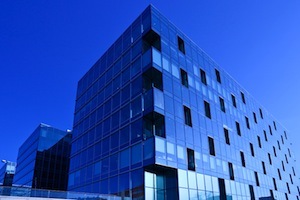 Most of the residential and commercial films use water-activated adhesives. Pressure-sensitive adhesive is sticky to the touch when you remove the clear liner. Like the dry adhesive, however, you must still get it wet with mounting solution prior to installation. If you follow the instructions, installing window tint is very easy for do-it-yourselfers. There are some great videos available along with downloadable pdf files for learning how to tint from a number of resources on the internet. You can watch a short video about window tinting that is available from WindowTint.com. They also have some downloadable PDF instructions that can help you do the job right the first time. Some films say that they are “not recommended for dual-pane windows”. What does this mean? Most all residential and commercial films are tested and rated “dual pane safe”. Automotive films are not dual-pane safe, and should not be used on dual-pane windows. Dual-pane windows are the type that have two pieces of glass with a spacer between them at the perimeter of the glass. You can tell by looking at the edge of the glass for the spacer, it is usually made of shiny aluminum. If you are not sure, check with the manufacturer of the windows. This stands for visible light transmission. This means that after the film has been applied to your windows, the VLT percentage is the amount of light that the film will allow to transmit through the glass. The lower the VLT, the darker the film and the less light it transmits. Is there a one-way mirror tint? There are films that are highly reflective on the outside, yet less so on the inside to reduce glare. They work just like a pair of mirrored sunglasses, which means that for the most part, during the day, anyone looking in the window will see their own reflection instead of seeing through the window. There are no films, however, that can completely block people from seeing through a window when the light inside is greater than the light outside. So at night, people will be able to see in, even if the visible light transmission is very low. Why don’t they offer automotive kits for vans or RVs? Some kits for vans. Do to the highly customized nature of most vans or RVs, the window patterns are often too complex to include in a pre cut window film. You should contact the company you are going to buy the film from and get an estimate for the cost of pre-cutting these films. If you have many windows that you wish to tint, it will save you money if you buy the window film by the roll. If you have only a few windows, we recommend a pre-cut-window-film kit. Tint by the roll comes in widths of 3 feet, 4 feet, 5 feet and, in some cases 6 feet, and these films are sold in lengths from 10 feet to 100 feet. Why are there separate films for residential and automotive? Aren’t all window tinting films the same? There are two main factors which separate residential films from automotive films. The first is adhesive. Most residential films have a water-activated adhesive, which means it is not sticky to the touch, and you use the mounting solution to activate it during installation. The automotive adhesive is sticky to the touch, making it more aggressive for automotive applications. The second factor is the functionality and construction of the product. All auto or residential window films are constructed for optimal performance for what they are intended to be used for. We do not recommend that you mix and match films (i.e., automotive film on residential or vice versa). How soon can I clean my windows after installing window tinting films? Do not clean the film for 30 days following installation. This allows the film to adhere securely to the window. When you do clean your windows, make sure to use mild cleaning solution and fresh, clean, soft cloth. To avoid scratching the film, do not use abrasive cleaning materials, bristle brushes, or cloth that contains dirt particles. Even some paper towels are rough enough to scratch your film, causing a dull finish over time. How will window tinting affect my plants? Window Tinting will reduce the amount of light available to your plants, so variegated or light-green plants should be considered when choosing your tint shade. Most tropical plants require less light and heat than clear windows provide, and may even benefit from the added sun protection of a window film. Less light, however, will slow their growth. Some plants may go into shock while adjusting to the new lighting conditions. If this continues for longer than a week, we recommend that you move the plant to a location where it will receive more light. Will window tinting films keep my furniture from fading? Window tinting films will not completely eliminate fading, but installing it is one of the best things you can do to block the factors that cause it. Window film blocks 99% of UV rays, which are responsible for about 40% of the fading equation. Heat makes up about 25%, visible light about 25%, and miscellaneous factors bring home the final 10%. Short of keeping your home furnishings in darkness, window film is your best defense against fading.